This was the debut issue of The Shadow Magazine. The Shadow began in 1930 as the host/narrator of a Radio Drama anthology series, introducing stories adapted from the Street & Smith pulp magazine Detective Story. Announcer Frank Readick buried himself in the role, chilling the airwaves with his haunting laughter. 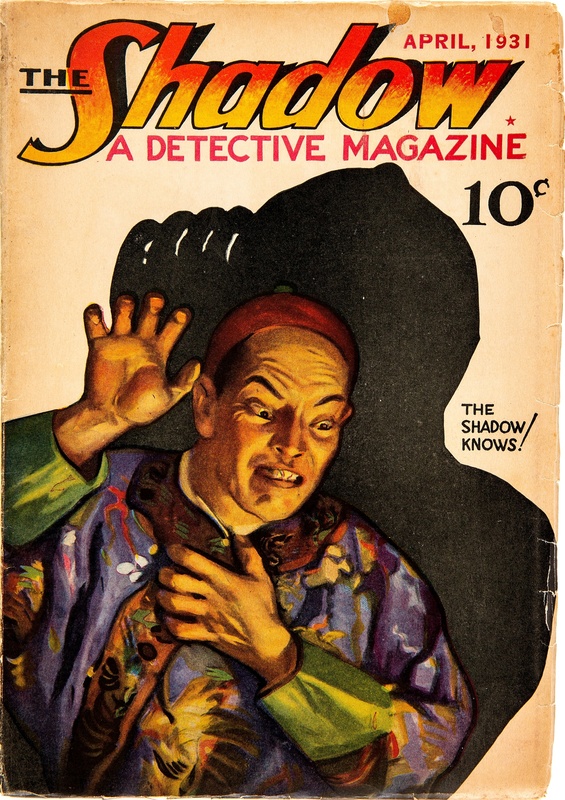 Intrigued, magazine buyers began asking for “that Shadow magazine.” Not ones to pass up a profit opportunity, Street & Smith commissioned magician turned writer Walter Gibson to create the first story for their new magazine starring and named for the mysterious Shadow. This novel, The Living Shadow, originally had no Chinese characters involved. However, Street and Smith, trying to get this first issue published as soon as possible (to capitalize on the popularity of the radio character) but also hoping to contain any possible damage should The Shadow Magazine be a failure out of the gate, recycled a Modest Stein cover from the October 1, 1919 issue of the The Thrill Book, which showed a Chinese man cowering from a menacing shadow. 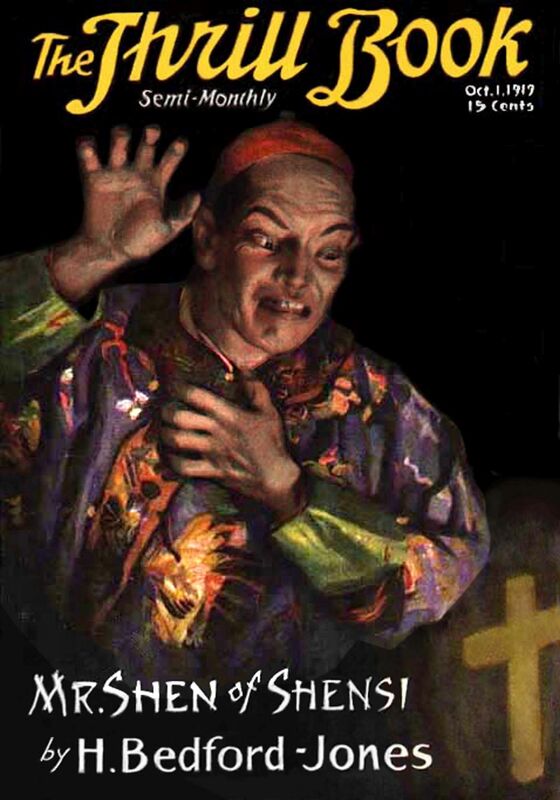 Walter Gibson, once he was aware of the intended cover, had to quickly rewrite his story to include a Chinese connection.